First footage leaked from a behind closed doors event in TGS 2013. God Eater 2 on Vita TV with 3 Vita 2000's in co-op gameplay. God Eater 2 has a look of Borderlands to it, a good thing imo. See the PS Vita and PS4 hooking up in Knack gameplay. Knack will be one of PS4's launch games come November 29th in Europe. "The current number of units expected in the UK is unlikely to satisfy demand. The machine could be in short supply for up to four months after launch." 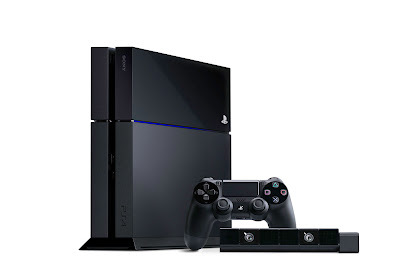 Sources speaking to Eurogamer have told them the PS4 will cost Sony $60 per console. Sony then confirmed the console will sell at a loss to them in an interview but would not confirm the amount. 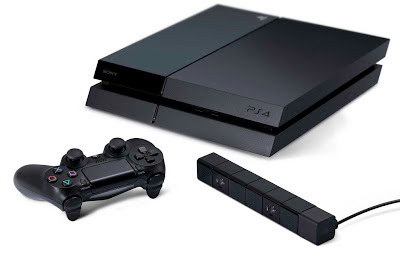 Sony expect to make up the cost on PS+ subscriptions and games. Speaking to Eurogamer, Sony have that they are considering releasing the Vita TV in the West due to a strong response in these regions. "Of course we are thinking of launching it in the US and Europe," they said. "But when it comes to the timing, we'll have to watch the environment and identify what other services are available in the US and Europe and whether we'll have to add other services." "The reason we wanted to launch PlayStation Vita TV in Japan first was because we think that there is a significant gap in this market even for a pure streamed TV box," they explained. "There isn't really a competitor here that's staked out a claim. And frankly, in my own view, Japan is a little behind the adoption curve in video streaming services."